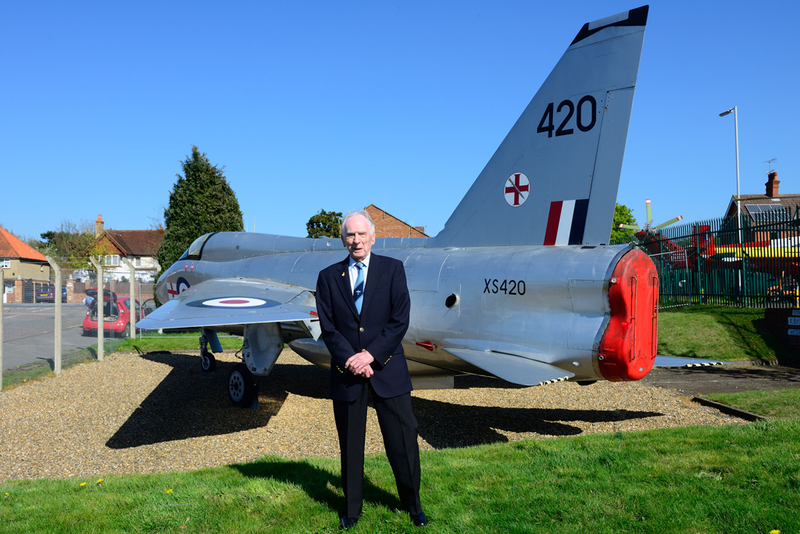 On 1 May 2013 a gathering took place at Farnborough Air Sciences Trust (FAST). 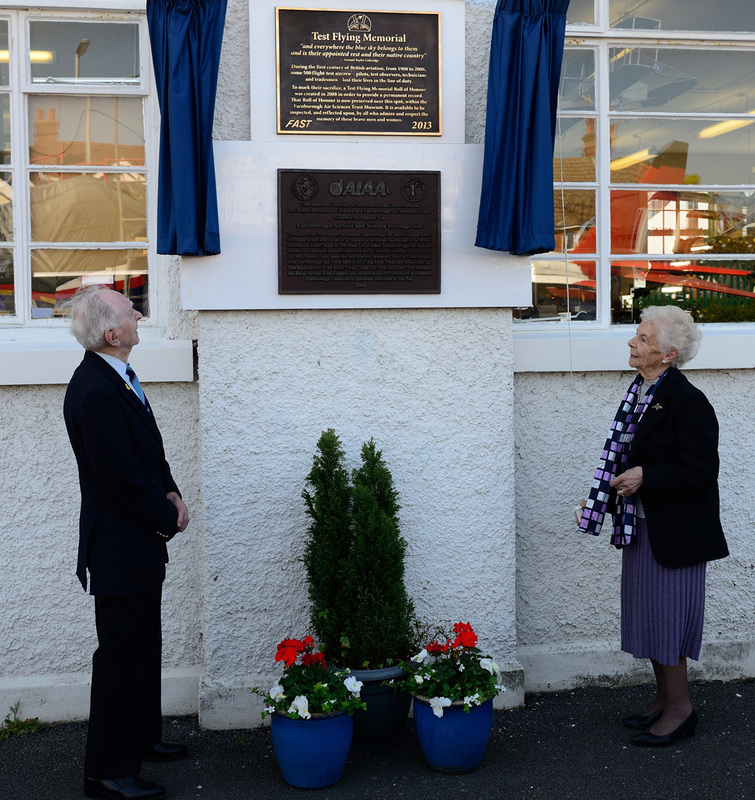 The purpose of the event was to mark the unveiling of the Test Flying Memorial at FAST. 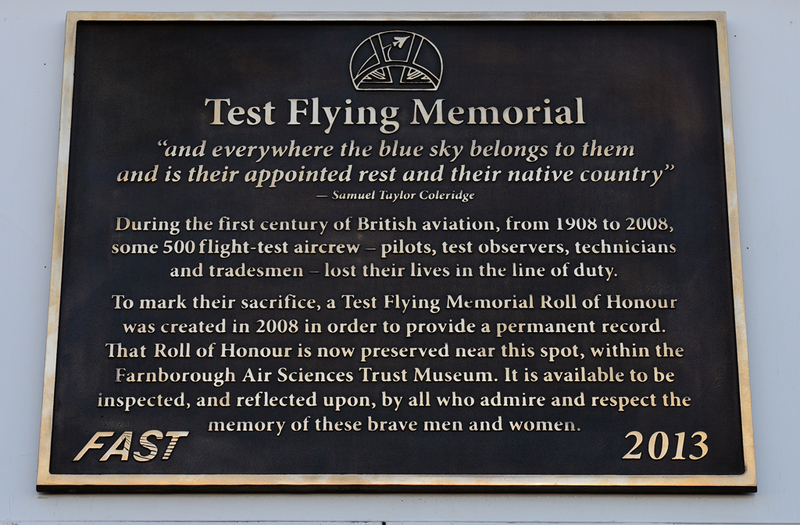 The Memorial commemorates Test Pilots who lost their lives whilst furthering the understanding of aircraft design and flight. 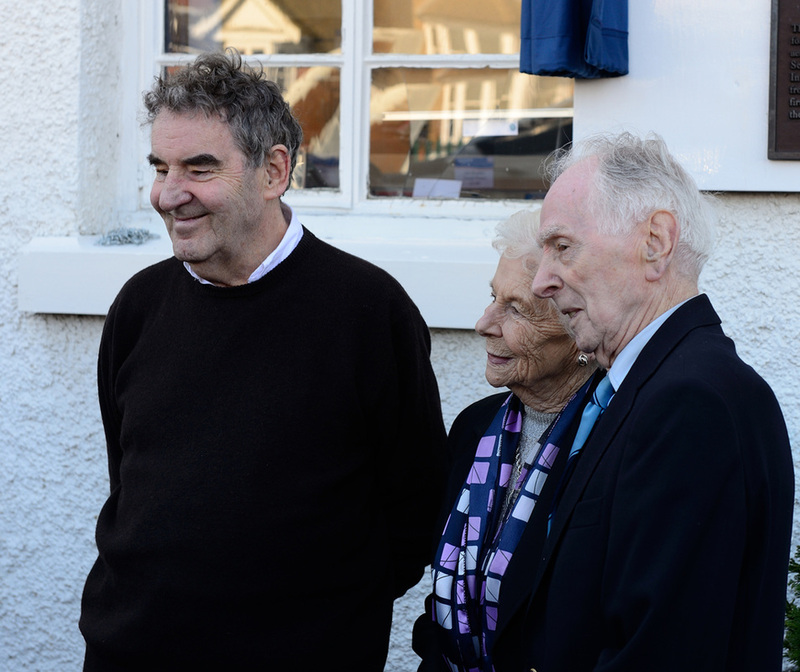 Amongst the gathering were two notable test pilots, Eric “Winkle”Brown (with his wife) and John Farley (left). 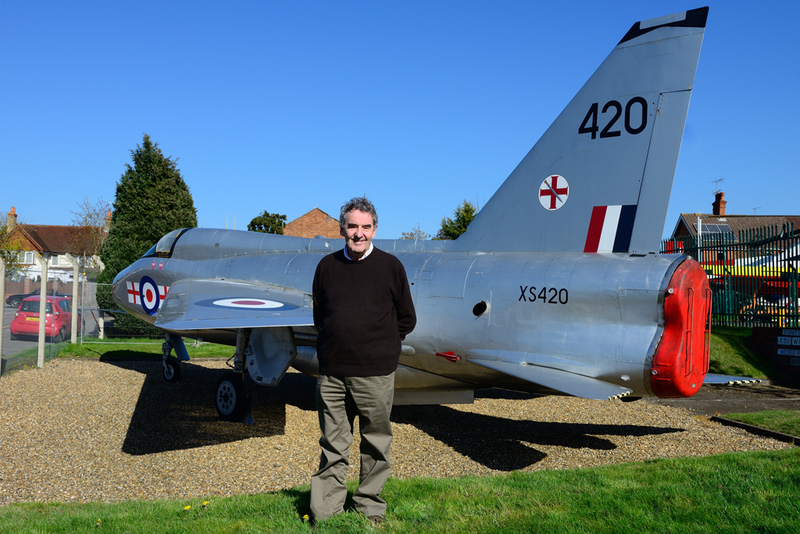 Eric is well known for having flown more types of aircraft than any other pilot in history, 487 to be precise. John spent many years contributing to the development of the Harrier and was the first Western test pilot to fly the Russian MiG-29 fighter. 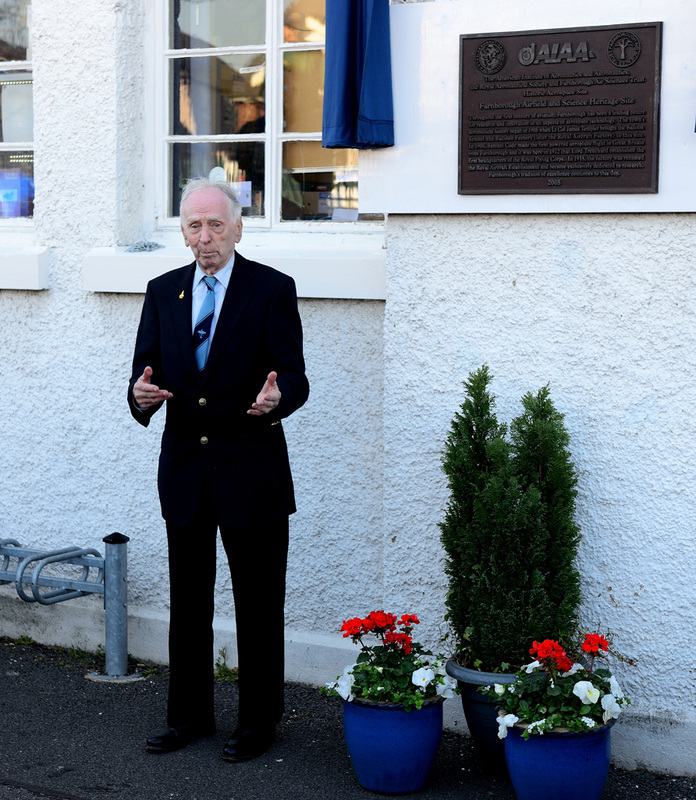 So it was at 16.30hrs, with clear blue spring skies, Eric Brown’s wife pulled the cord and the Test Flying Memorial was unveiled. Eric looked very moved to see the Memorial as he no doubt remembered his past friends and colleagues whose lives were claimed whilst test flying. Eric then went on to give a short moving speech in his usual highly compelling manner. It was fitting that Eric spoke his words at Farnborough as he had spent so much of his test piloting career there over the years. In the evening a further event took place in the form of a fund raising dinner and auction held in aid of FAST’s proposed Cody Memorial Statue. Samuel Franklin Cody made the first powered controlled flight in the UK on 16 October 1908 and has largely been forgotten today for this historic feat. FAST want to ensure that this ceases to be the case with the statue due to be unveiled on 7 August 2013, the centenary of his death in a flying accident. Following the dinner, Eric Brown again took to the stage and gave a fascinating talk about his incredible career. The thing about Eric is that he always seems to come out with pieces of previously unheard information which feeds the imagination of those listening. So it was to great applause that Eric concluded his talk, and with the auction attracting some lively bidding the day closed on this truly memorable event.